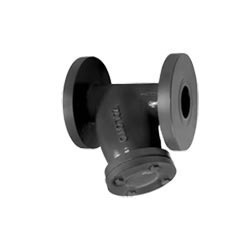 Enriched by our vast industrial experience in this domain, we are indulged in providing an enormous quality range of Y Strainer Valve to our customers. These Y Strainer Valves are used in many industries for liquid straining application. Besides, we deliver these products at our client’s premises within the given time frame. Stainless steel / brass 1mmm hole diameter per forated sheet screen in guided in the body and cover. Lage screening area makes the strainer efficient in the performance.